I have just gotten back from New York. It was one of the best experiences of my life!! 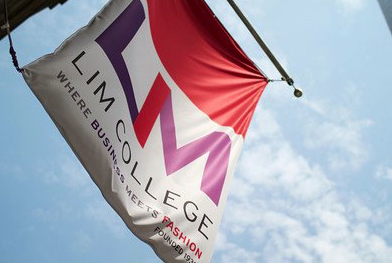 I went to a fashion camp at the LIM college which was fantastic! I was only there for a week but it was the best week of my summer!! I took pictures of what we were doing at camp but I am going to explain what we did. 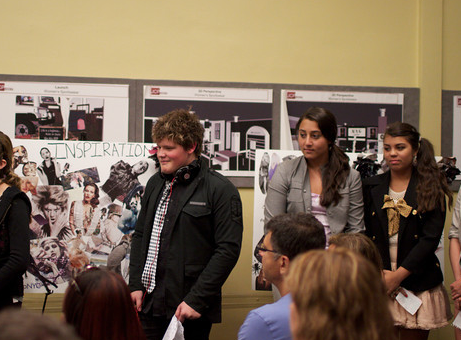 So as you know for the past two years I have been going to SAIC for fashion camp, for garment design. Well this year I did something different. I went to Fashion camp in New York for the business side of fashion. 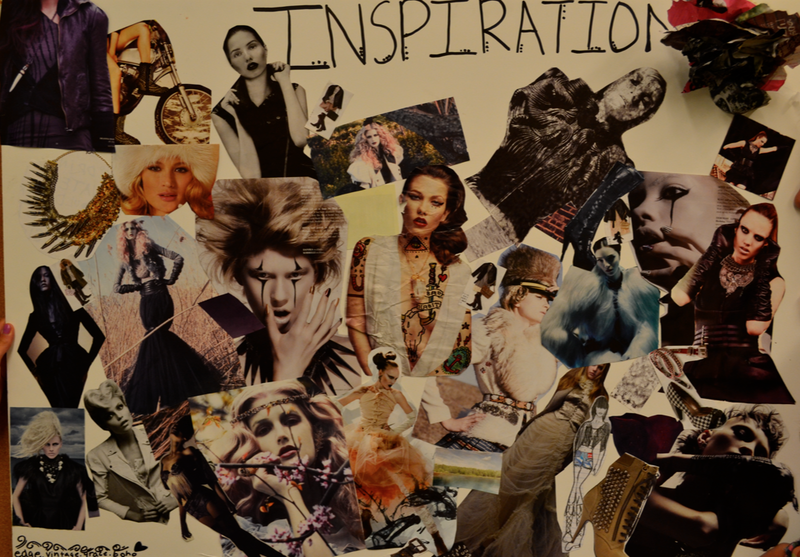 We were lectured about the many different parts of fashion such as, styling, designing, fashion PR, magazine editing (fashion and beauty), beauty PR, blogging, and interning. Everything was so interesting!! 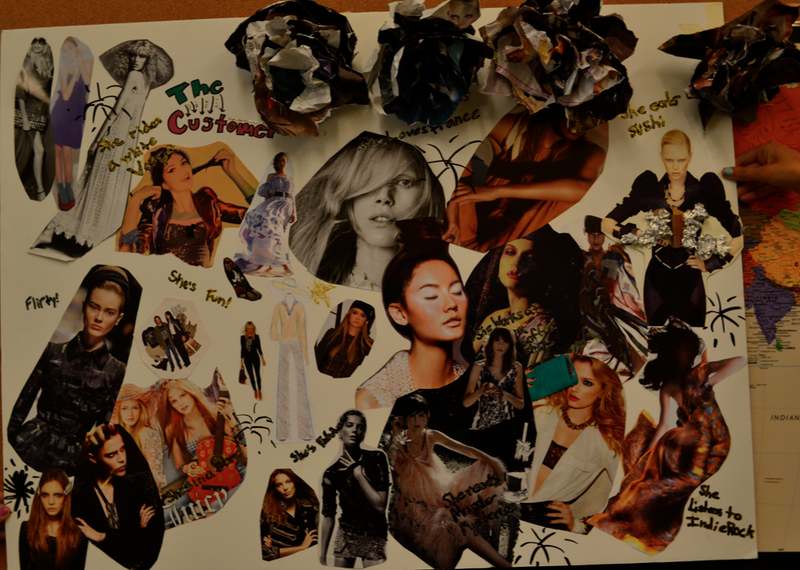 My favorites were Dana Maxx the designer, Emily and Abigail the fashion bloggers, and the Kristen Shirley from Elle. Here are some pictures from my trip! I thought that the black and white graffiti was amazing so I had to take a picture of it! 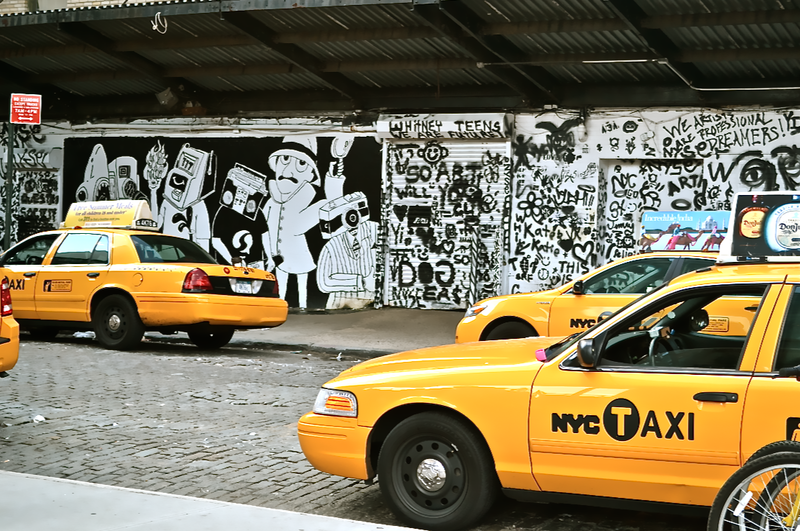 Then when I walked across the street the yellow taxis were even more inspiring! 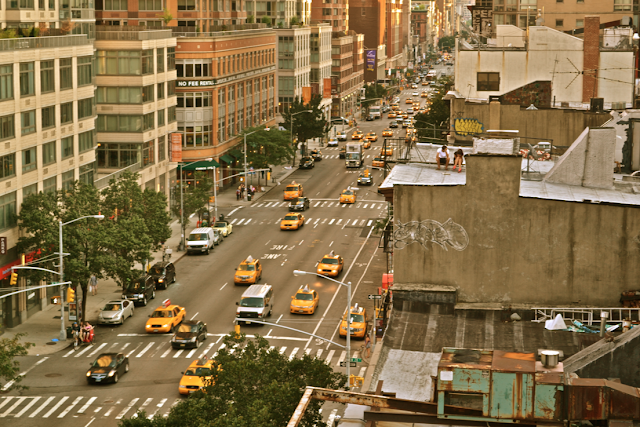 I love this because you have the two people sitting on top of the roof and then you have the taxis and cars. Hey thats me in the center in the hanger if you can see. This was taken by Katie our camps photographer. Here we are writing notes and getting ready for a speaker. 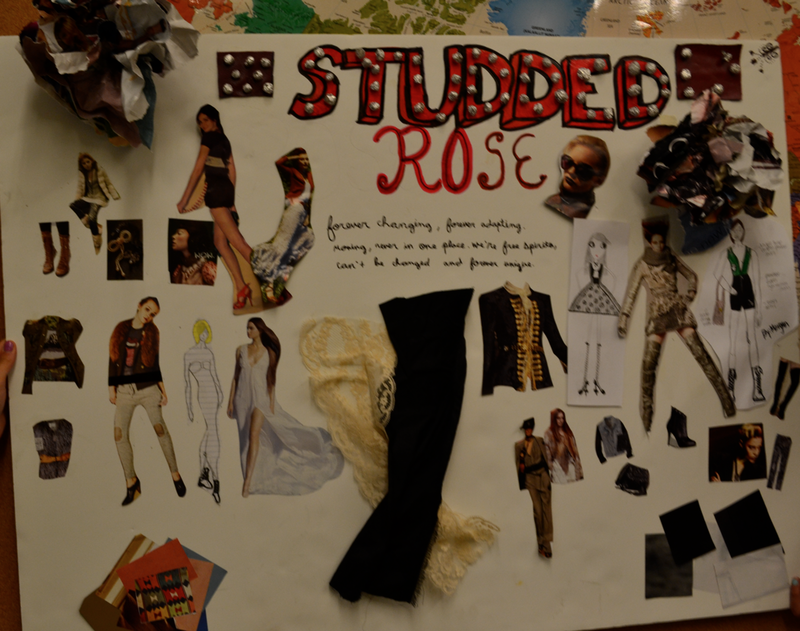 This is Studded Rose my groups brand it was a mix of bohemian and edgy. I made the roses in the top out of magazine paper. The name Studded Rose I created, it took us a long time to decide which name would be best for our brand. Here we are presenting our brand, I am on the far right. The CEO of Coach compared us to Alexander McQueen and said "early adapters" would shop at our store, she kept going on about how much she loved our brand. She was so nice and I am so happy she could put together this program. Thank you hope you enjoy my NYC trip. Love this! 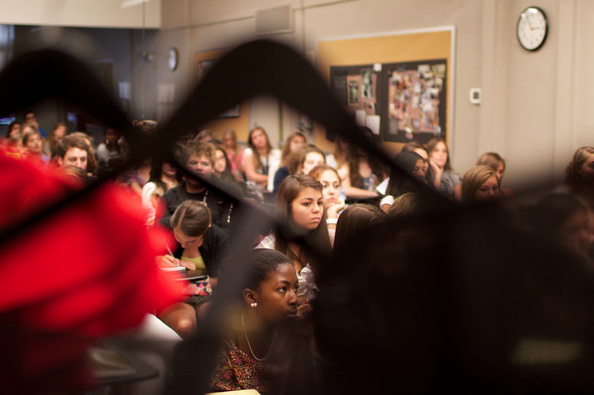 Thanks for linking to us :) We had such a great time at Fashion Camp! Love your blog- following you! wow really cool NYC!! I live there I love your Studded Rose boards really neat! Also nice touch with the flowers! Thanks! Emily thank you so much love your blog as well, I am following you too!! !